A three storey curved block of red brick warehouses now converted to commercial uses. The terrace was designed by John Boyd for William Ferguson in 1871. By the mid-1880s the property was transferred to John Ferguson & Co. A number of textiles companies traded from the warehouses until the 1960s. The terrace was listed in March 1984. First occupied by W&H Bell & Co., bleachers until the early 1900s when Harris Adair & Co., linen manufacturers leased the property from John Ferguson & Co. The property was requisitioned by Government in 1941. Textile companies began trading from the property again from 1944 until the 1960s. J D Nicholl & Co Ltd, auctioneers opened in 1966 and continued trading until the 1980s. Deramore Developments Ltd received planning permission (Z/1989/2826) in 1989 to convert the property from warehouse to office use. Lofty Inns Ltd submitted a planning application (Z/1991/2779) in 1991 proposing to change the use of the property to public house. 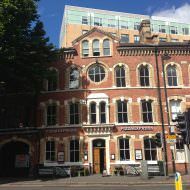 Work to convert the property was completed during 1992 and included a new neo-Victorian shopfront. Morrisons Bar traded from the 1990s until closing in June 2018. 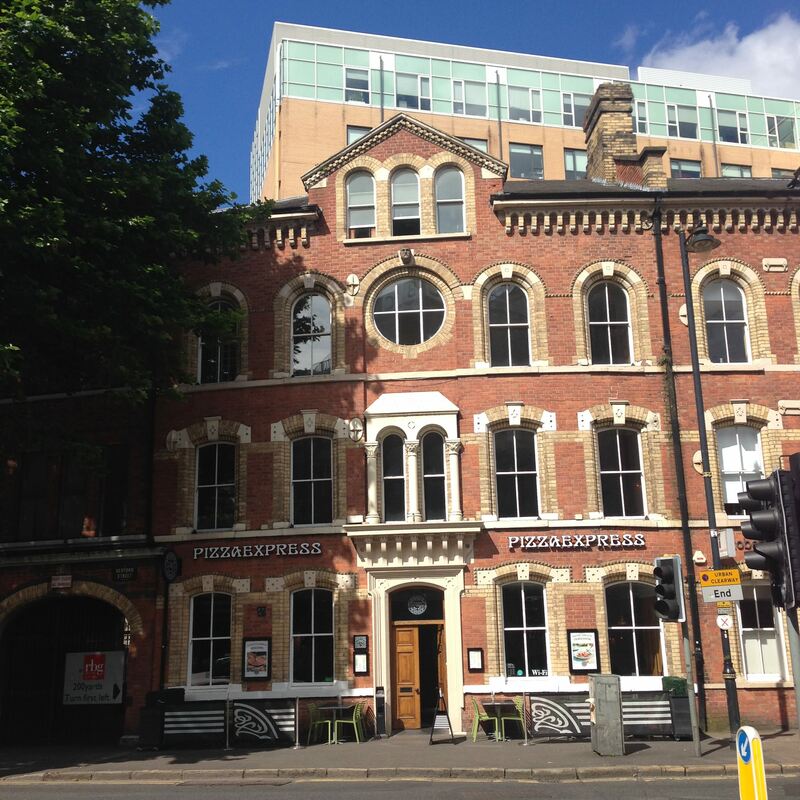 The Carmichael Group acquired the bar in 2002 and entered a lease agreement with Bedford Taverns Ltd in February 2018. The bar was refurbished and reopened as ‘Pug Uglys’ in August 2018. The Gravity Group submitted a planning application (LA04/2019/0056/F) in December 2018 proposing to create a rooftop bar on the third floor. First occupied by William R. Nelson, linen handkerchief manufacturer and bleacher and then Alexander Tillie & Co, linen manufacturers until 1924. J. A. Lowry, linen dress goods traded from the property between 1932 – early 1960s. The property is now occupied by Robert G. Sinclair & Co., solicitors. A number of textiles companies traded from the warehouse until the 1960s. The Belfast & Ulster Licensed Vintners’ Association (now known as Pubs of Ulster) relocated to the building during the early 1960s. Pizza Express opened a restaurant within the property during late 1996 / early 1997 (ref: Z/1996/2157).